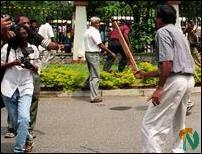 Four persons including two journalists were wounded when a Sinhala nationalist mob attacked the Sinhala Tamil Cultural Festival at the New Town Hall in Colombo Wednesday morning. The members of the mob took position inside the hall during the inaugural event and disrupted the proceedings while a well-known Tamil writer Mr.S.Yoganathan was addressing the gathering. The mob then began shouting slogans and assaulting the participants, sources said. 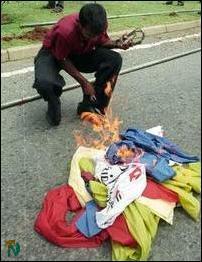 Later, large number of protestors gathered outside the venue and attempted to attack the participants. 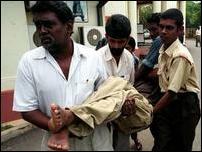 The mob prevented the wounded from being taken to the hospital, sources said. However the few police personnel who were present at the New Town Hall and the organizers managed to push the attackers outside the gate of the New Town hall, sources said. 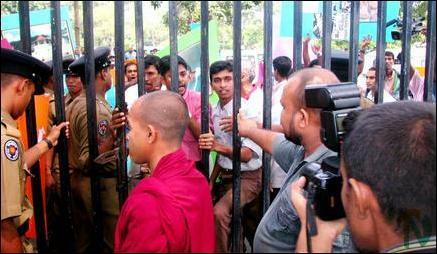 The mob continued to push at the gate trying to break in and attack participants and organisors. Despite disruption by the Sinhala nationalist extremists the inaugural event of the Sinhala-Tamil Arts Festival continued. 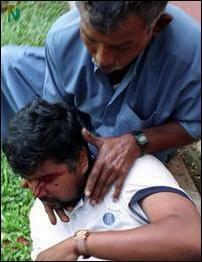 One of the wounded journalists has been later identified as Mr.Athula of HIRU FM radio, sources said. Police said that the Sihala Urumaya, elements of the Janatha Vimukthi Peramuna student union and assorted Sinhala nationalist groups organized the attack on the Sinhala-Tamil Cultural Festival. 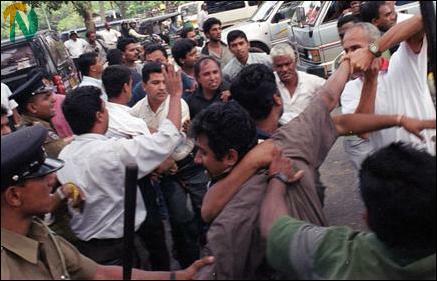 The attackers shouted that the Sinhala- Tamil arts festival was the work of Liberation Tigers and their Sinhala supporters in the south whom they branded as traitors. 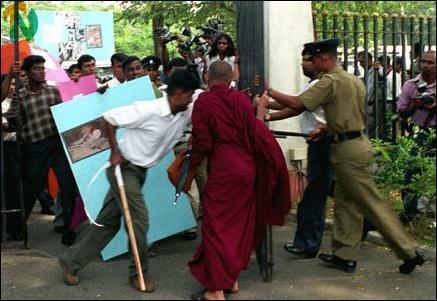 Some of the attackers who assaulted the participants and Sinhala organizers of the festival screamed: "Kill the traitors". 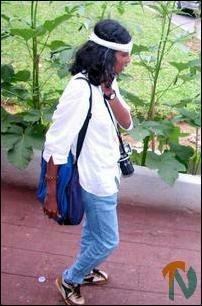 The woman journalist, Yamuni Rasmika, who was hit on her head by the mob told TamilNet that she was from the Sinhala language weekly newspaper "Lanka". Mr. Rohitha Bashana said: "We organized this festival to bring Tamil and Sinhala artistes, poets, writers and scholars from all parts of the country to foster and build harmony between the communities that have been divided by the two decade old war." 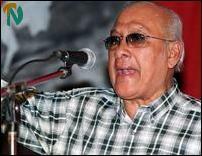 "We invited every body regardless of their political persuasion including the Liberation Tigers." 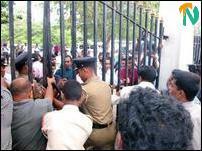 Sinhala Urumaya (SU) cadres break the main gate and enter the Sinhala-Tamil friendship cultural program hall. 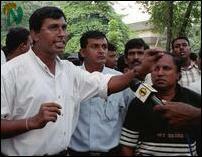 SU supporters attacking Hiru Team. Pro. 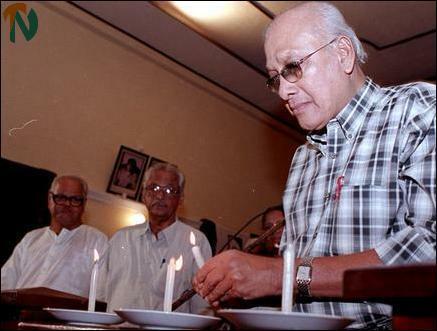 Sucharitha Gamlath lighting the candle to inaugurate the cultural fesival. 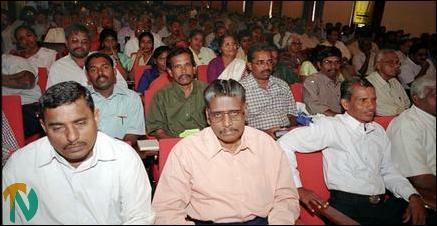 Participants at the Tamil-Sinhala Arts Festival.